NEW! See also What's On the Menu?, which invites users to transcribe the New York Public Library's collection of 40,000 menus; a project of NYPL Labs. The Rossetti Archive, sponsored by the Institute for Advanced Technology in the Humanities, University of Virginia under the direction of Jerome McGann, provides access to Dante Gabriel Rossetti's complete works, including high-quality images, detailed descriptions and commentary. 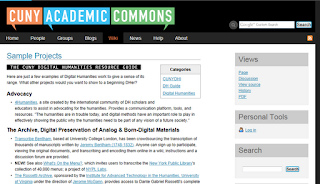 Related works (contemporary and antecedents) are also included, along with a bibliography. The Walt Whitman Archive – "an electronic research and teaching tool that sets out to make Whitman's vast work easily and conveniently accessible to scholars, students, and general readers, drawing on the resources of libraries and collections from around the United States and around the world." Directed by Kenneth M. Price (University of Nebraska-Lincoln) and Ed Folsom (University of Iowa). Preserving Virtual Worlds – exploring methods for preserving digital games, electronic literature, and environments such as Second Life. A collaboration between Maryland Institute for Technology in the Humanities (MITH), the University of Illinois at Urbana-Champaign, Stanford University, the Rochester Institute of Technology, and Linden Lab (creators of Second Life). 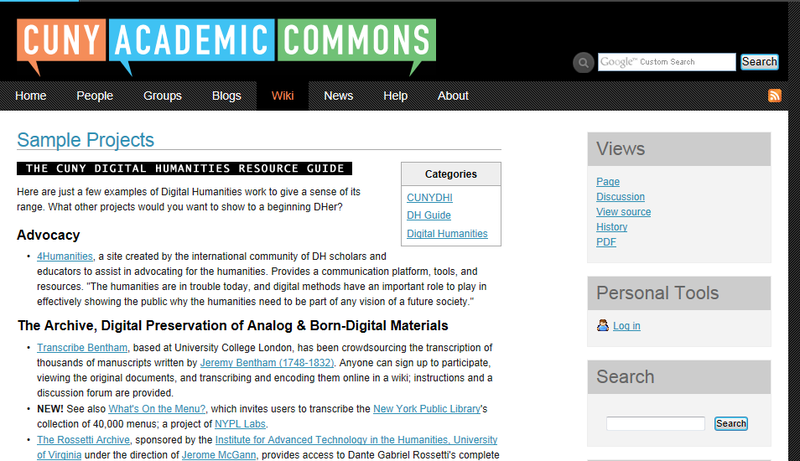 Omeka – a free, open source web-publishing platform for the display of library, museum, archives, and scholarly collections and exhibitions; developed by the team at Roy Rosenzweig Center for History and New Media (CHNM) at George Mason University "with non-IT specialists in mind, allowing users to focus on content and interpretation rather than programming."